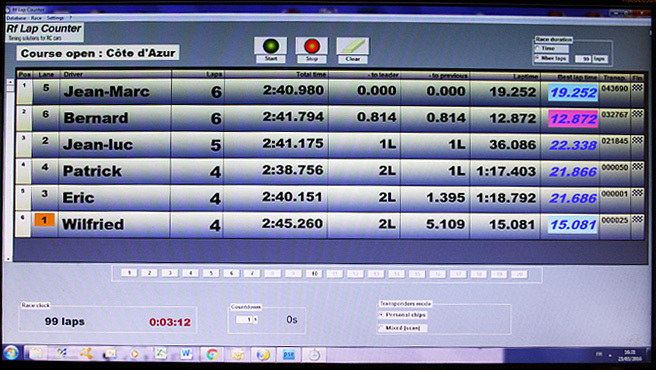 Our range for RC Cars consists of 4 PC software. 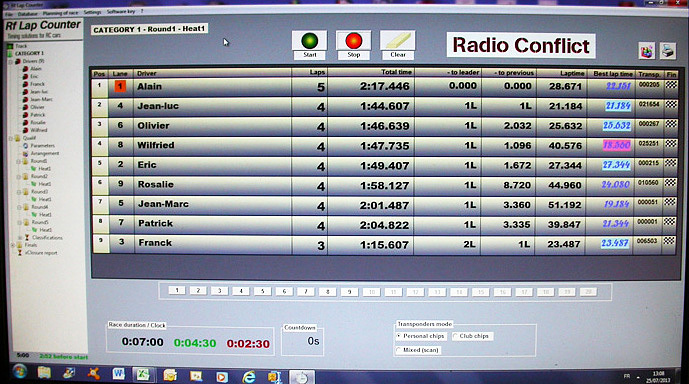 Our entry level free software 'Rf LapC Basic Timing' can record time with a resolution of 1/1000th of a second. Easy to learn and use, it allows to carry out simple timing sessions. It can be downloaded from our website ( page Downloads / Videos ). 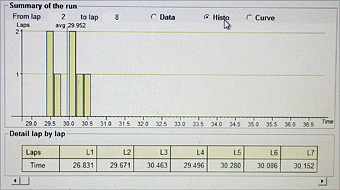 'Rf LapC Training' is another software from our range that allows to realize training sessions and tests of cars settings. A demo version can be downloaded for free from our website ( page Downloads / Videos ). The software is sold as a CD (online shop). 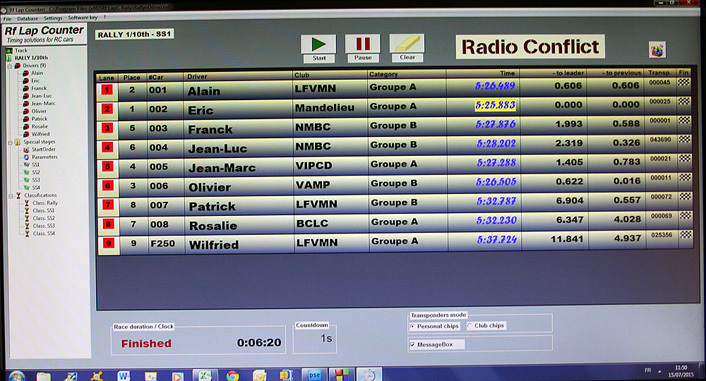 'Rf LapC Race Management' is the third software from our range. 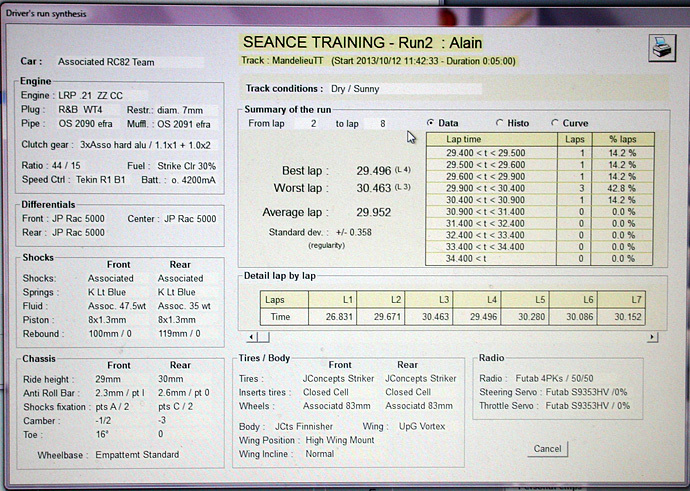 It allows the organisation of complete races with qualification and finals. 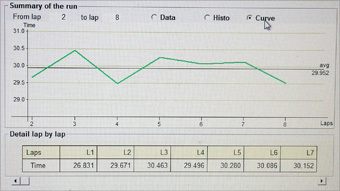 For every driver, data and graphical analysis of the runs results. 'Rf LapC Rally' is intended for RC rallies organisation. It makes the management of complete events by doing the timing of the special stages and giving the classifications (global or per categories of cars / age).